Get paid like a Ninja. Nothing helps you get paid better than your own personal Ninja. Point the Ninja at your accounting system. It doesn't matter if it's cloud or desktop based. 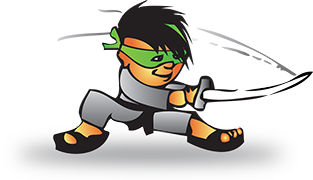 Release the Ninja on your customers, reminding them that their invoice is due and how much they need to pay. Unable to fend off the relentless Ninja, your customers will have no option but to pay up.